President McKinley Cb. New Dec 2016. 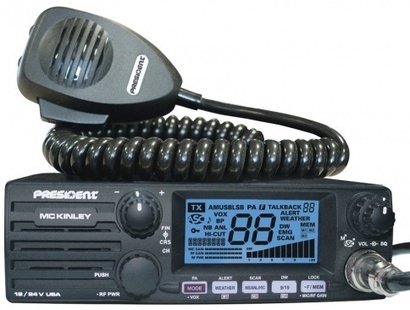 Compact 40 channel SSB Cb Radio with front mic, front firing speaker, LCD frequency display., weather, memory, power control and more. **There is a $50 rebate option if you trade in a "working radio" before March 31, 2017. See details and print rebate form on the "View Detail" page.